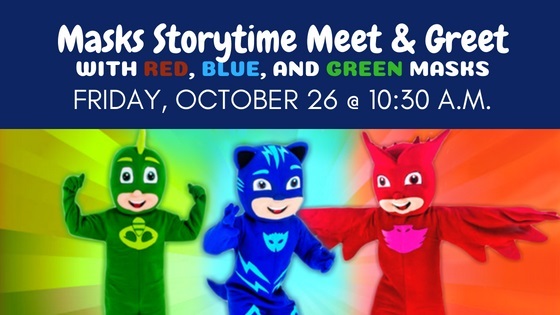 Join us for a special storytime with the red, green and blue Masks. We will read a few stories and work on a craft. All three Masks will be there so don’t forget your camera!